As a blogger, I have had some experience with advanced reader's copies. I have won a few giveaways from publishers, I have been a part of a few blog tours, and I have quite a few generous blogger friends that have been nice enough to lend me their copies. I have only formally requested an ARC two times, and, to be honest, it was when I still was trying to figure out the structure of my blog and it's content. These requests have not been successful (yet), but I'm hoping to request some in the future. As you can see, there are several ways that a blogger can receive ARCs for review, even without requesting them directly from the publisher. 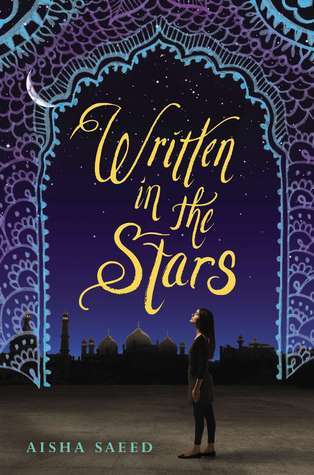 I am not trying to say that bloggers have a right to ARCs (because we don't) nor am I trying to shove ARCs down blogger's throats and say "You should try and get these just to have ARCs!" That is not my point at all. Out of all of these ways of receiving ARCs, there is one way that I have never seen mentioned on social media or blog posts (at least, to my knowledge). is through used book shops. Jess over at Princessica of Books recently made a post about a blogger who had found an ARC of a book at a used book shop, and posted on a Twitter hashtag, offering this book up for trade if anyone was interested in it. 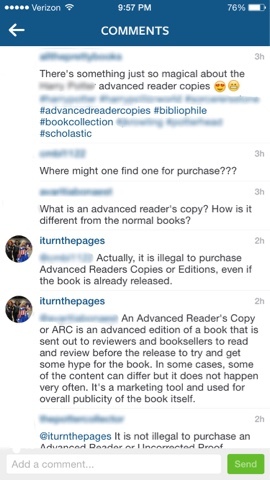 To clarify, ARCs should NEVER be sold. It is actually illegal to do so in any market. I do not condone the actions of this individual and I am not trying to challenge this statement in any way, shape or form. This post is a way for me to understand the conflict that is going on between different groups of people and their thinking behind their actions. Jess' discussion focused on whether it was right to purchase an ARC if the proceeds went to charity. After reading her post, I began to wonder why bloggers would purchase an ARC from a second-hand store in the first place. After all, not for sale means not for sale, right? But it dawned on me that I could clearly see both sides to this story. In order to demonstrate this, here is an example. You walk into a second-hand store like Goodwill or Salvation Army. As you look in the book section, you notice an ARC of *insert books here* peeking out at the shelves. You pick it up, and you wonder if you should get it because it is a book that you would be interested in reading OR you need it for your collection! What do you do? Person One: Put it back on the shelves and walk away, even if you need it for the one collection that you are going to finish. Never for sale means never for sale, ever. Hopefully, you would bring it up to the store manager, and you would reach an agreement that this ARC would not be sold in the stores again. They understand, and take it off of the shelves, but you don't go home with it in your hands. At least you know that you did the right thing. Person Two: Immediately pick it up and go to the cash register. You might mention that technically this isn't for sale to the cashier, and tell them not to sell an ARC again, but by the end of the day you are still walking out with the ARC in your hand ready to go to a new home. After all, if it stayed in the store, it would still technically be "for sale" and it might never find a home as good as the one that you can provide it. You keep telling yourself that you are "rescuing" an ARC from a retail store. Even though you know it's wrong, after you purchase it, it is officially out of circulation and not on the shelves anymore. It's not your fault for buying it because, if you didn't, someone that didn't know what an ARC was would buy it and continue to spread misinformation about it. At least now it is out of circulation, not for sale anymore, and in a nice home. Do you see the issue here? Both groups of individuals think that they did "the right thing" in this situation. But is there really a "right way" to be handling this situation? An ARC that is still for sale can cause more stir than an ARC that was purchased by someone. I've seen instances of pretty famous bloggers posting that they found an ARC they needed to finish their collection in a used book store, and I have never seen anyone question their actions online about why they felt they needed to purchase it. Is it different story when you need that ARC for a collection of yours vs. seeing a random ARC in a store? 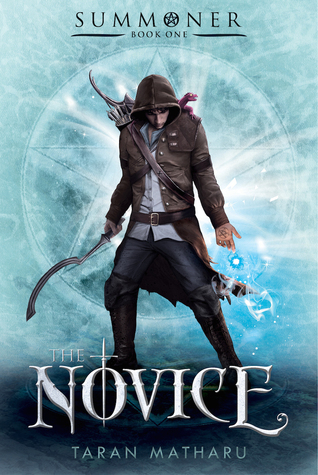 Can you justify purchasing an ARC as a blogger, even if you know that ARCs are never to be sold? I don't have all of the answers to these questions, and maybe that's for the better. I'll leave it up to you guys to discuss with me in the comments. Keep in mind that my comments are a no-judgement zone, and even if you have an unpopular opinion, you should be allowed to voice it here without ridicule. My blog is a safe space and anyone that threatens that safe space is not allowed here. You are allowed to disagree with each other but please voice these concerns respectfully! 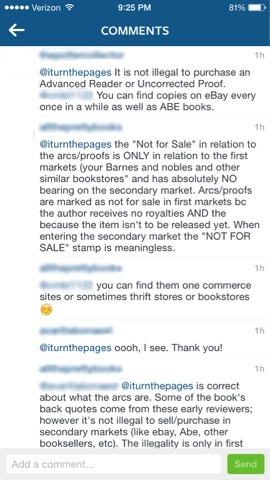 Again, to clarify, ARCs should never be sold in any market. I'm asking the question below only to get an understanding of when bloggers/individuals can deem an action as "okay" or "acceptable", even if it might not be. I'm curious to see what you guys think and I'd love to have this discussion with you. Is it "right" to "rescue" an ARC from a used book store? Books on my TBR #1: Battle of the Books! I thought now would be a good time to start documenting some of the books that I want to read in the future. Don't get me wrong, I have a goodreads shelf for some of them, but I've never actually talked about why I want to read them or what is so interesting about these books. I'm deciding to do that now, especially after so many of you voted to see a post about my To-Be-Read list in one of my Twitter polls from my Twitter account! My school participates every year in something called Battle of the Books. For those of you that are not familiar, Battle of the Books is kind of like a competition and a celebration of reading. Wait, what does this have to do with my TBR? Each year, schools from around the state pick out 10 books that they think are the best reads of the year, or are written by amazing authors that deserve more attention. 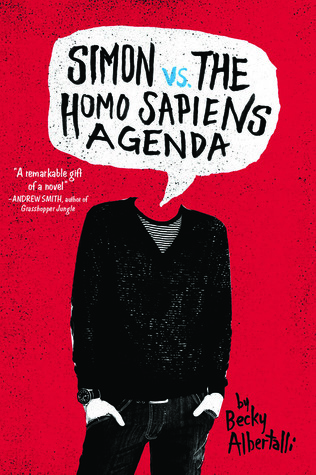 Schools then order copies of this book for our libraries, and students (like me!) can check them out and read them. So, I will be reading these books as a part of the event! If you are curious about what happens next, after about a month or so, the school schedules a gathering at a local library near us for all of the students that read any of the "Battle Books" to get together and have our own mini book club. We discuss what books we enjoyed, what characters we relate with, and after we have a dinner made up of pizza and sweets, we move on to a trivia competition. Teams from several different schools (in our case, 3 schools) compete against each other! Each team is made up of at least 5 people that have read at least 3 of the "Battle Books". Questions can come from any of the battle books, and can be as general as "What is the author's last name?" and as specific as "What was the fifth word in line 17 of the 323rd page of the book?". Okay, not really. But these questions can be tough. After about 30-40 questions, a winner is crowned! They win bragging rights and a small trophy. Our school hasn't won the competition yet, to my knowledge, but I'm getting a head start this year so we (hopefully) win! After that event, we go into a Skype conversation with the authors if they are willing to Skype with us, where we can ask any kind of question we want about their writing style, about their own lives, or whether or not they made the curtains blue because the character is sad or because they really like the color blue. When I went to the Battle of the Books event last year, this was my favorite segment. I was able to ask questions to some of my favorite authors AND come home with some bookish swag. I loved this event SO much last year, and I was so excited when I finally saw the list of books that we are reading this year. I can't wait to read them (I haven't read any of them yet!). Sixteen-year-old Tess Kendrick has spent her entire life on her grandfather's ranch. But when her estranged sister Ivy uproots her to D.C., Tess is thrown into a world that revolves around politics and power. 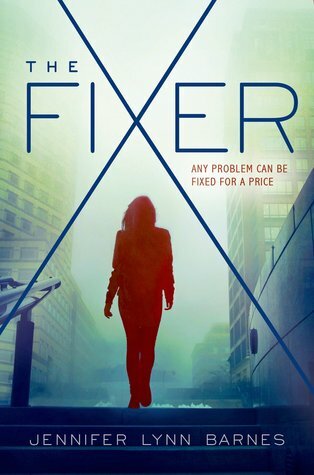 She also starts at Hardwicke Academy, the D.C. school for the children of the rich and powerful, where she unwittingly becomes a fixer for the high school set, fixing teens’ problems the way her sister fixes their parents’ problems. 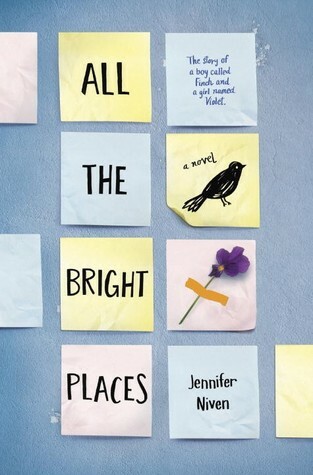 And when a conspiracy surfaces that involves the family member of one of Tess's classmates, love triangles and unbelievable family secrets come to light and life gets even more interesting—and complicated—for Tess. Have you read these books? Let me know which book to read first by commenting down below! :) I am so excited for this event and I will keep you updated on my feelings for these books as I finish them! I am really excited to be a part of Battle for the Books this year, and I hope you guys can help me out by picking the first book for me to read! If you had to pick one of these books to read, which one would you read? 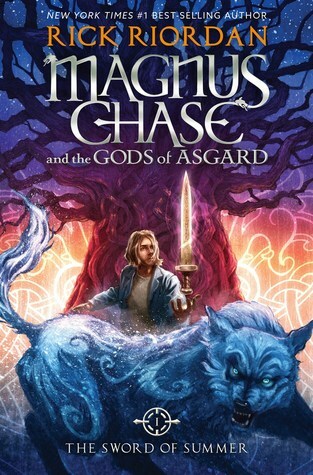 I have another question for you: Do I have to read the Percy Jackson books before Magnus Chase? Do I have to read the Grisha Series (Shadow and Bone, etc.) 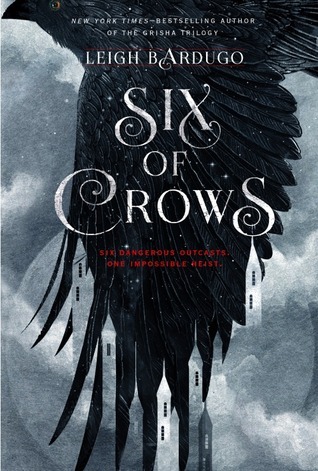 by Leigh Bardugo before Six of Crows? HELLO? 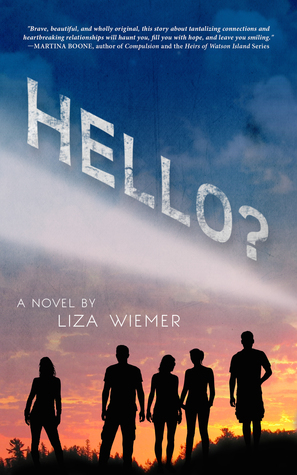 by Liza Weimer Sale Blitz + Giveaway! "One HELLO can change a life. One HELLO can save a life. Told from all five viewpoints: narration (Tricia), narration (Emerson), free verse poetry (Angie), screenplay format (Brenda), narration and drawings (Brian)." This book sounds amazing, right? Would you like to have it on your (virtual) bookshelf? You are in luck, because this Valentine's Day deal is about to make life a little sweeter for you. To make a long story short, you can purchase HELLO? as a e-book on your Kindle, Nook, Apple device or Kobo e-reader! You can do so by clicking the links below! If you decide to purchase HELLO? (which you should! ), you can also enter this giveaway to win 1 of 3 $10 Amazon giftcards to spend on whatever you choose! This is a pretty epic deal, right? :) What are you waiting for! Discussion Post: ARCs in a "Collector's Market"
The following events unfolded at about 10:00 pm on February 8th 2016. I did the best to document what I could (and will continue to document anything related to this). I do have to apologize if some of this does not make sense, but I feel so strongly about this and I wanted to write a blog post as quickly as possible about this. This post WILL be updated as events continue to occur and I will post the updated time below. I knew it wouldn't be long until I had to deal with another incident surrounding Advanced Reader's Copies (ARCs) and their misuse both in and outside of the publishing and blogging world. This all started with a late night Instagram session on my phone, where I noticed that some of the users that I follow had posted a picture of a certain ARC that they had acquired for their collection. This user, to my knowledge, is not a professional in the publishing industry and they do not have a blog, so I was already questioning how an ARC was able to get into their hands. But, this user is a massive, collector for a very *specific* series that dominated the publishing world and completely changed what it stood for. I'm not going to say exactly what this series is, but I hope that you can get the gist based on the little hint that I gave you. (I feel like it would point to who they are, and I don't want to reveal names yet because I hope that the situation will be resolved). Other Instagram users had asked in the comments "Where did you get that?" "Where do I find one?" "What is an ARC?" I felt that, as a blogger familiar with ARCs, I was more than qualified to provide an answer to these questions. If you need further proof, I attached a screenshot of the original caption of the picture and the comments that I made in response. The account of @iturnthepages is my own account, and there were four individuals involved in the exchange. It turns out that another collector jumped in when they saw my response, and replied to my comment, along with multiple comments from the original poster. I thought that I was going to get a civilized response, and I was hoping that these individuals knew that what they were doing was wrong. They even tagged the picture with #advancedreaderscopies (and the publisher!). I thought that they would have been smart enough to do some kind of research. It turns out that they did to some "research", but it was misinformation, as you can read from their responses below. I do not think that this is an ignorance to the purpose of ARCs or what they are used for. I believe that these individuals know what Advanced Readers Copies are and know very well that purchasing these copies for a collection is illegal, regardless of what "market" it happens in. I am infuriated, I am angry, and I am hurt, as a book blogger, but also as a lover of this series. A series that has brought magic to my heart and a love for life to my bones. I am hurt, as a fellow collector, to see that other collectors are continuing to ignore a (very obvious) law for the sake of their own collections. It also pains me because these individuals were so quick to use their words to justify their own actions. I did not even accuse them (officially) of purchasing an Advanced Readers Copy, yet they still spoke to me like I had thrown that accusation at them in writing over the internet. (I had my doubts about how they received this copy but I had hoped that they did this ethically). I know now that these individuals only responded like this to cover up their own tracks, that they know what they are doing is not only wrong but ILLEGAL, and they refuse to admit it. An ARC is never for sale. This means in any instance, from any individual, in any year, regardless of whether the book is already released or not, and regardless of it's popularity. ARCs are a marketing tool and should be used as such, for the audience that they are intended for. As Erin from The Book Nut put it, just because publishers don't go after every case in the secondary market doesn't mean it's not illegal. Publishers don't have the resources nor the finances to go after every single case. Even then, I'm not even sure how they would handle something like this. ARCs are NEVER for sale. NEVER. I have not responded to these individuals yet, but I will respond when I am not as infuriated and emotional about the topic. I also reached out to several publishers to give their input on how to respond to a topic like this, and I will continue to update this post as responses come in and this continues to unfold. If you have any advice, please feel free to let me know. I am feeling hurt by this situation, and I am also confused. I'm not sure what to do, but I need some kind souls to help me see through the darkness and into the light. I definitely agree with their viewpoint and will be using this to try and talk to these collectors. I'm still hoping for the original publishers to see this and speak up on behalf of the author as well. Also, the support I have received from all of you thus far is absolutely astounding. I'm compiling all of your tweets and comments into a singular document so that I can try and create a formal response addressing all of the points that I would like to meet. I would love it if you guys would share this link (to the blog post with the situation or my tweets about it) with all of the publishers that you are aware of. I really, really want this to reach a majority of the publishers in the publishing world because that will only help to give strong evidence against these collectors (and maybe stop this "ARC Black Market", as Alex put it, from occurring in the first place!). After some careful consideration, I decided that I wanted to ask more questions to these collectors to see where they heard this information from. After all, I still hoped that they were just misinformed about the nature of ARCs (because they are not involved in the blogging/publishing world). I decided that I would ask these collectors where they heard this information. I was hoping that I would get a link to a website or some information on who told them this so that I could also try and prevent more misinformation from being spread. Below is my comment and the response that I received. The funny thing about this response is that the collector clearly mentions it would be illegal to sell these ARCs for a profit in a retail establishment, because that is what several secondary marketplaces are doing with ARCs anyway. Sadly, ARCs are still sold on sites like eBay, and the profits are given to the seller on eBay. There is really no difference in terms of whether or not ARCs are being sold for profit. As you can tell, I was slightly confused by the response given. I also wanted to ask a question that, if they decided to answer it, would clearly state their opinion. I wanted to ask about physical stores, because the "secondary market" that this collector was speaking about was completely online. Again, this collector responded to my question, which you can see below. I'm honestly not quite sure what "sold as what they are" means - because if they are "sold as what they are", that means sold as ARCs, which is still illegal. 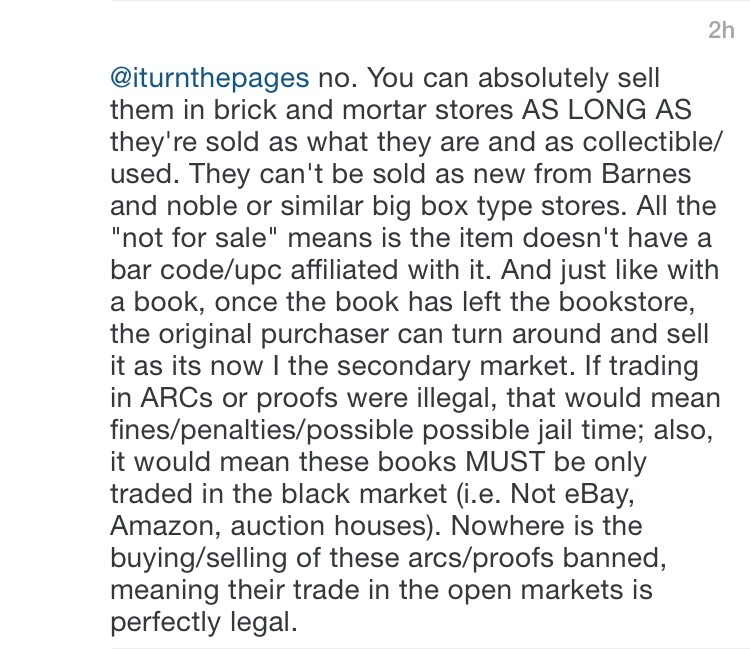 The collector here seems to believe that selling ARCs is not illegal in secondary markets because their are no penalties for the seller. However, I am certain that penalties would be handed out if publishers were willing and financially able to track down each and every case of an ARC being sold. In some cases,when authors see that their own ARCs are being sold on the Internet, punishments are dealt out. Listings are removed from eBay, and the author will likely remain infuriated at the seller forever. 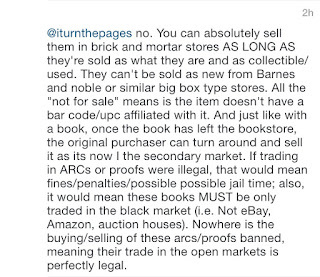 There very well may not be "jail time" associated with selling ARCs, but that doesn't mean that there are no punishments overall or that selling and buying ARCs is suddenly morally correct. For example, using the collector's example of "jail time", there are several crimes that are illegal that a person can commit that doesn't necessarily result in jail time, but that doesn't make the crime legal. I'm honestly not quite sure what to do at this point in time - I have not heard from many publishers to confirm that the selling/purchase of ARCs is indeed "banned" in their eyes. I don't know how to respond in a measly Instagram comment about this issue and to try and correct them, because they seem pretty set in their ways. I do have to say that I have respect for them in terms of their willingness to communicate with me in general - I didn't believe that this interaction would be civil at all. I don't want to give up the fight on this, I think now I just have to figure out what my next step is. As always, any help from you guys is greatly appreciated. If you want to share this post, you can. Your comments help me. If you want to tag an author you know or a publisher you know on Twitter asking them to take a stance on this, that would be amazing. If we all work together, if we all care enough about this issue, it can and will be solved. We just have to do some work to get there. This week in the blogging world, I saw a very interesting conversation emerge on the topic of other members of the book community offering advice for their followers to receive "free books". I'm not going to say their real name on the blog, so I'll call them A. From my understanding, A had created a video where they spoke about some of their tips about how to get "free books". This video was several minutes long and had already been viewed by several people (and had been up on the channel) for a while before I was able to see it. After watching the video, myself, along with several other bloggers, realized that there was a massive amount of misinformation presented in the video about what "free books" mean, and some of the other terms that A introduced in the video. Instead of picking apart every sentence that A mentioned in the video, I wanted to do my best to convey the correct information in this blog post, so that hopefully, this misinformation doesn't seem to spread, and also talk about why something like this can be so frustrating to bloggers. First thing is first, "free books" does NOT include Advanced Readers Copies or other books sent from a publisher. Unless you won a giveaway, all Advanced Readers Copies and other finished copies sent out by publishers (in general) are sent out for review. This is especially the case with Advanced Readers Copies, because the reviews and appearance of the book on social media really helps the sales of the book and gets the word out to readers that may want to read this book when it comes out. These books are not free, because a publisher has to pay out of pocket for these books to be produced. There is the cost of the production of the ARC itself, and (if the ARC is a physical copy) the cost of mailing the ARC out to bloggers and other professional reviewers. It costs the publisher money to make these books and send them to you, and while you don't have to pay anything to receive them, it is by no means "free". ARCs are a promotional tool for marketing. They are not "free books". When publishers send you books, especially when you request them, they are expecting a review in return. You are not necessarily obligated to write a review for every single ARC that you receive, but at least for books that you request from publishers, you should write an honest review for. The only "free books" that you will ever receive in the blogging world are the books that you borrow from the library or the books that you receive as a present from one of your friends. (Sometimes you can get ARCs from other bloggers, but this falls into a different category and you should still review them if they are not out yet, or at least try to). I didn't like the way that A's video was pitched because, to me, it looked like A was promoting the idea of getting into blogging only to get free books. (Just to be clear, I'm not accusing A of doing this when they got into creating videos). This is NOT a reason to get into blogging, and while I know ARCs and other review books can be tempting sometimes, you should blog about what you love. You should create content about what you love, and maybe some of these ARCs will follow, and maybe they won't. Blogging isn't about getting ARCs or being noticed by massive publishers. It shouldn't be that way, and if it is, maybe it is a sign that the community should change/we need to have a massive discussion about it. A's video also made it sound like requesting and reviewing digital ARCs (also known as eARCs) lead to the blogger being sent physical review copies. This isn't the case. Digital ARCs are for people that prefer reading books on their electronic devices. Everyone has different reading preferences. In my mind, digital ARCs are no different than physical ARCs. They hold the same expectations, and you should review them. The content is exactly the same, just the formatting is different. Digital ARCs don't necessarily lead to receiving physical ARCs at all. Personally, I don't think the two are related at all. It's moments, posts and videos like this that make me a little bit uncomfortable. In A's case, there was a lot of information in the video that is being spread to a large following. It makes my heart hurt to think that people are only getting involved in blogging to get "free books". I completely understand that these new bloggers may be completely uninformed. I wanted to make this post in the hopes that the "right" information gets spread to all of these people. The book blogging community should be a positive one and one where we are not afraid to point out flaws in others information and offer nice corrections. I really hope this post did not come across as harsh - I'm not trying to personally attack A for their video or their channel - I'm just trying to make a point. Misinformation is not okay, and make sure that you do your research. That being said, if anything is incorrect in this post, please let me know and I will update the post with my updates posted in bold. I know I'm still relatively new to blogging and I know that I can get things wrong sometimes. Let's talk in the comments below. If you have seen this video, let me know what you think about it. If not, what are your thoughts about this post? Is there anything you should add? Should I make another post about ARCs? Would that help to stop the problem? I'll be honest, I don't know what I can do to stop the problem, but I can try to stop the misinformation from spreading. I have to.